Limani Grill hosted a lovely dinner tonight for our Board of Directors, who were at the restaurant to view our first art exhibit in Westfield’s wonderful seafood restaurant. 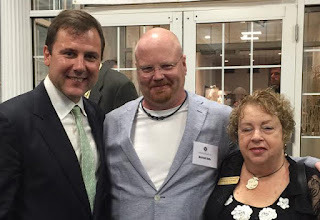 Owner George Vastardis spent time mingling with board members and was extremely complimentary of the work and the strong reception it continues to receive from his many patrons. The 7-piece exhibit was sourced from a theme-specific call for art to all current WAA members, and was beautifully curated and hung by board members Maxine King and Ginny Puskar. The exhibit at Limani is our second in a growing series of WAA pop-up galleries going up in downtown restaurants. These exhibits add the flavor of original art by gifted local artists to the already amazing flavors of Westfield’s many restaurants. Themed to complement the unique culinary efforts coming from each restaurant’s kitchen, the art shows local residents and visitors alike a bit of the vibrant culture of our community. If you have yet to see our exhibit at Limani, please invite a friend to join you downtown. And don’t forget to tell George we said hi. The Scotch Plains Fanwood Arts Association is planning a bus trip to the Whitney on Thursday, November 5th. The new Whitney Museum of American Art is now located in the meatpacking district. SPFAA members and non-members are welcome to spend the day at The Whitney. The bus will leave Brookside Park at 9:00. Brookside Park is at 1255 Hetfield Ave., Scotch Plains. The cost for the bus trip is $25.00. 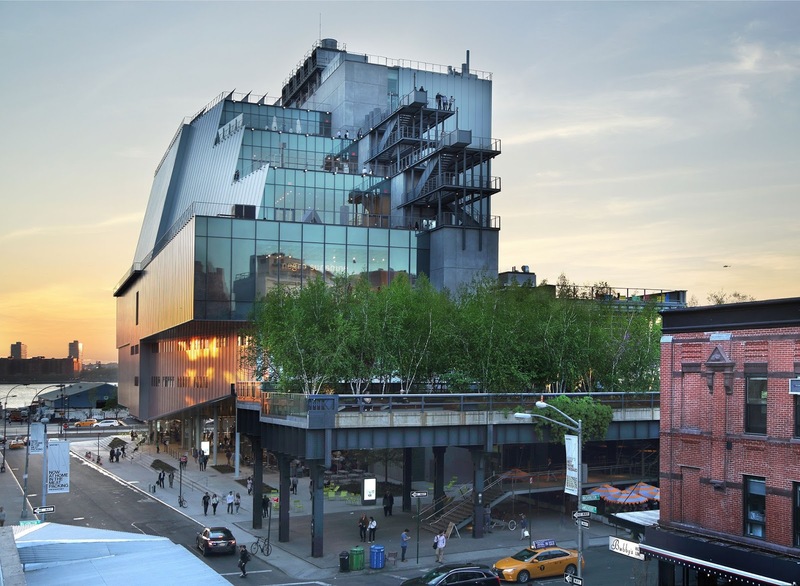 Entry to The Whitney Museum is separate, and payable at the museum. Please mail checks for the bus fare to the Scotch Plains Fanwood Arts Association at P.O. Box 151, Fanwood, NJ, 07023 by October 29th. Do not mail the Museum entrance fee. At the door the admission cost is $22.00 for adults and $18.00 for Seniors and students. The bus will leave the museum at 3:30, returning to Brookside Park around 5:00. 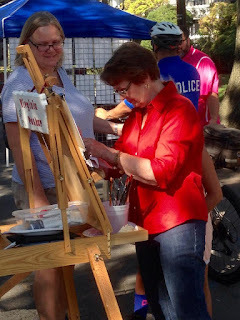 The Scotch Plains Fanwood Arts Association is a group of fine artists, crafters, photographers and sculptors forming a social group to express and enjoy their talents. All are welcome who want to use their creative skills to share, appreciate and grow with others. A main goal of the Scotch Plains Fanwood Arts Association is the integration of the arts into daily life. We strive to achieve this through informative demonstrations, discussions and group trips. Please visit the SPFAA website at SPFAA.net or call Sandra Cerchio, President, at (908) 868-8909. Additional information about the group may be accessed by clicking here. Senator Thomas H. Kean, Jr. shows his support for our venerable organization this evening at an event in Kenilworth. 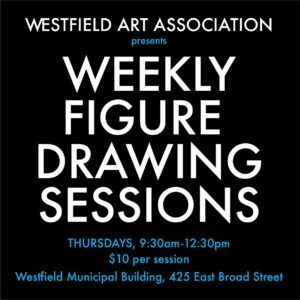 Senator Kean, who grew up in and maintains his office in Westfield, is on the board of the New Jersey Council on the Arts. We look forward to staying in touch! Recap: Roselle Park Loves Art! We are so pleased to have participated this afternoon in Roselle Park’s RP Loves Art! street festival. Located on several lovely, tree-lined, residential blocks of Chestnut Street, the attractions were local art, music, theater & dance groups, alongside local food vendors. The weather, for a change, cooperated. Our own WAA board members Mary Ann Iannitto (pastel portraits) and Ginny Puskar (acrylic painting) created original art live at the event, and drew lots of attention. We also set up exhibit walls in the street to display the locally-focused artwork of several more WAA members. Over the afternoon we met many new friends, had fun arguing about art & artists, enjoyed real food, and had our pictures taken many, many times. …and the crowd was happy & large! See you again next year, RP Loves Art; this year was great! 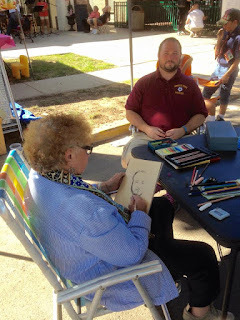 Author westfieldartassociationPosted on September 20, 2015 Leave a comment on Recap: Roselle Park Loves Art! Westfield, New Jersey, United States Since 1922, the Westfield Art Association, a 501(c)(3) non-profit, completely volunteer organization, has provided art education and public exhibitions, and continues today to actively encourage its many members in the pursuit of individual artistic goals and growth. All mediums. All experience levels. All welcome. January: “About Face” ; A Juried Show @ South Ave. Arts. Dates are January 5 to 29th, with reception on 01/20/18. February: An online video presentation featuring one of our amazing members! May/June: Paint in the Park! Garima Pal on Roselle Park Loves Art!